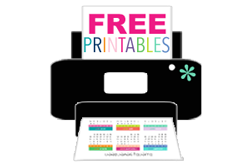 Each PDF file is saved as 2 page spread for easy printing. I've also included a ZIP folder with each individual PDF file if you prefer to print pages separately. 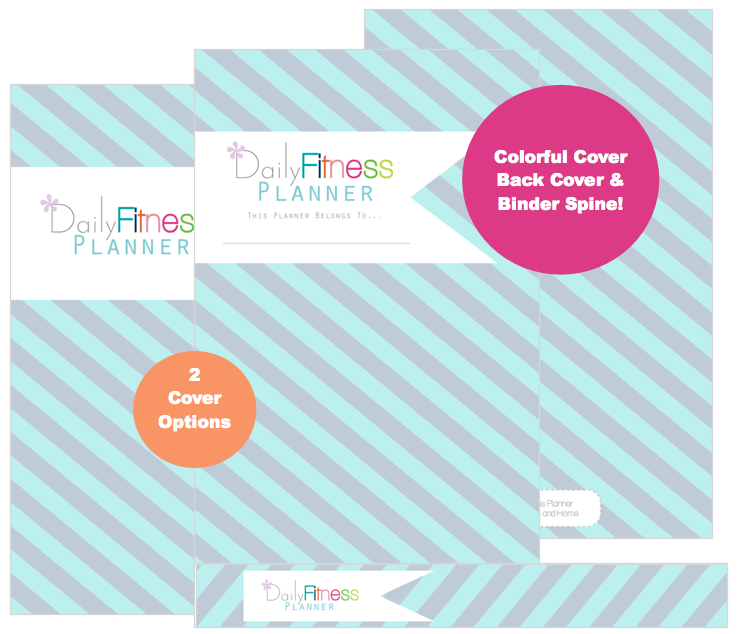 Each page is formatted to fit a 5.5" x 8.5" planner or binder. Since this planner is undated it is not placed in order. 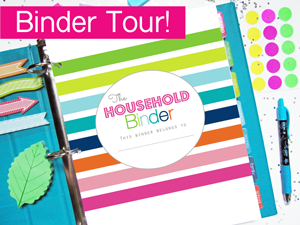 That way you can decide how you want to assemble your planner and which pages you want to use! 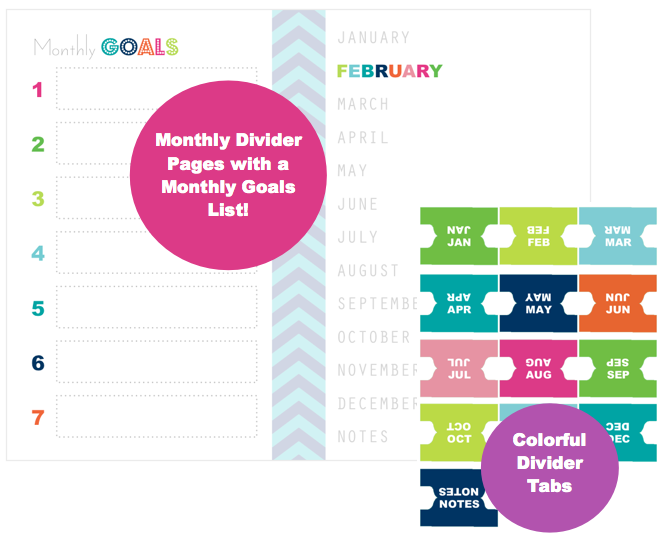 This planner comes with matching Divider Tabs and a beautiful Divider Page spread with a Monthly Goals list! The tabs are bright and feature a bold arial font so they're easy to see. I've also included a spacing guide to help you place your tabs. 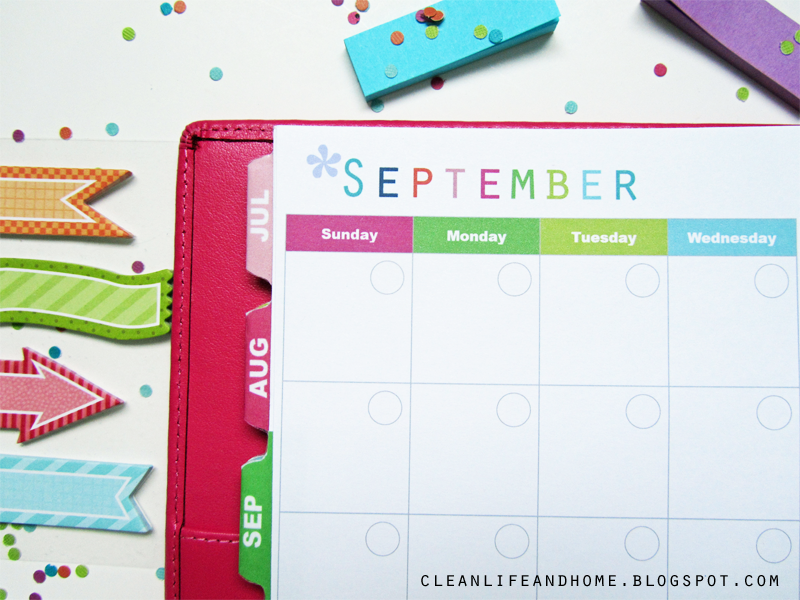 Each month starts with a fun 2 page calendar spread! 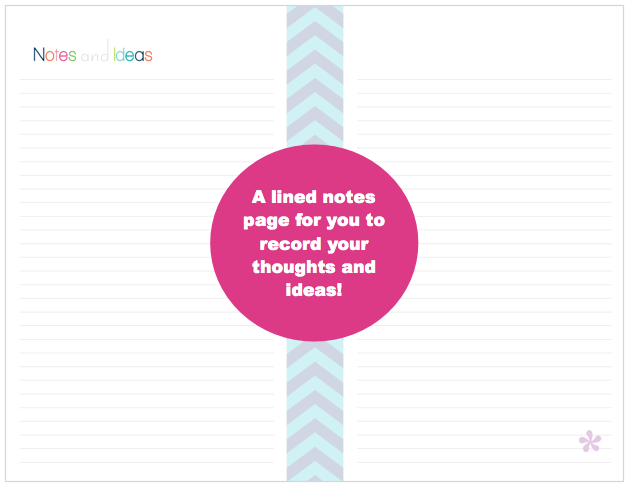 Undated design that includes space for notes. 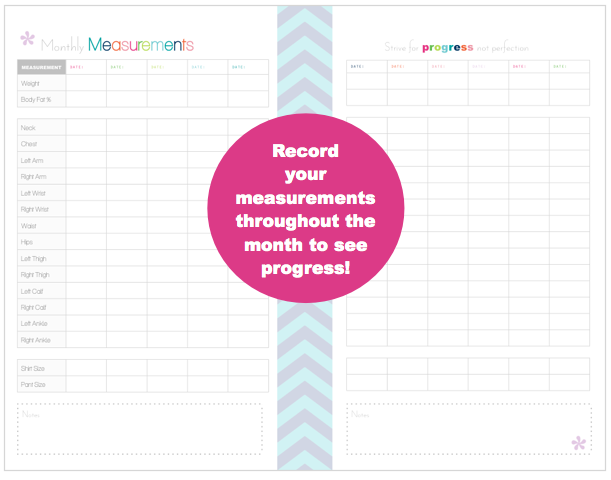 Track your measurements throughout the month to see the progress you're making! 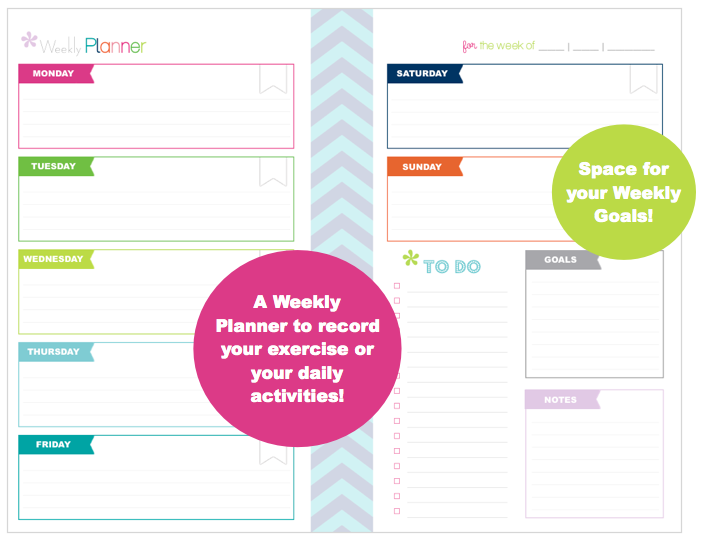 Compare your measurements week to week and month to month! 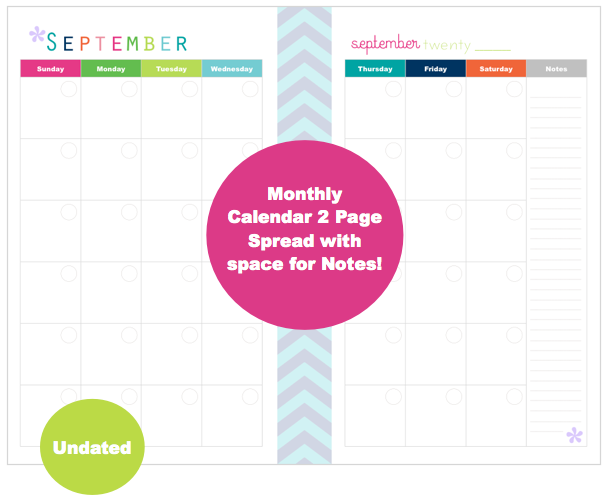 This spread is a great place to plan out your week or you can use it as an exercise log if you prefer! This is the place to plan your meals for the entire week! If you know what you're going to eat there's less chance you'll slip up or go hungry! 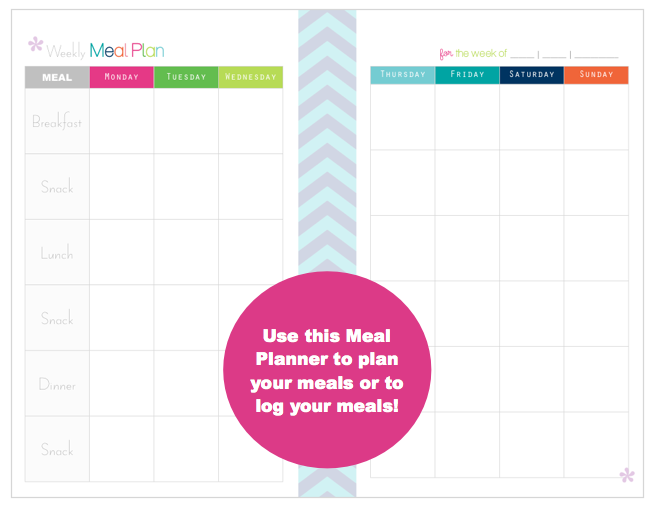 You can also use this as a meal log! The Daily Calorie Tracker is the place to record what you've eaten each day, calories, how much water you've had to drink and there's also room for notes! The Exercise Log is a simple page to record your daily activity and workouts! 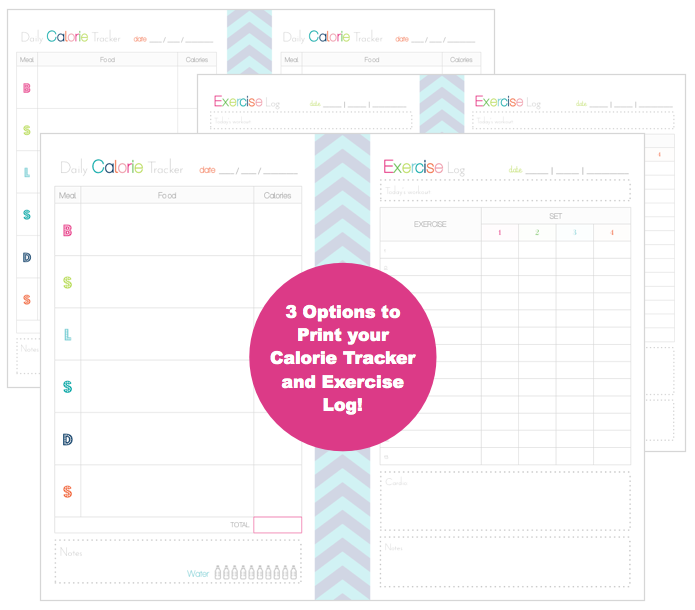 You can print the calorie tracker and exercise log together or separately. Finally, there is a section for you to record you thoughts and ideas. A simple, lined note spread. 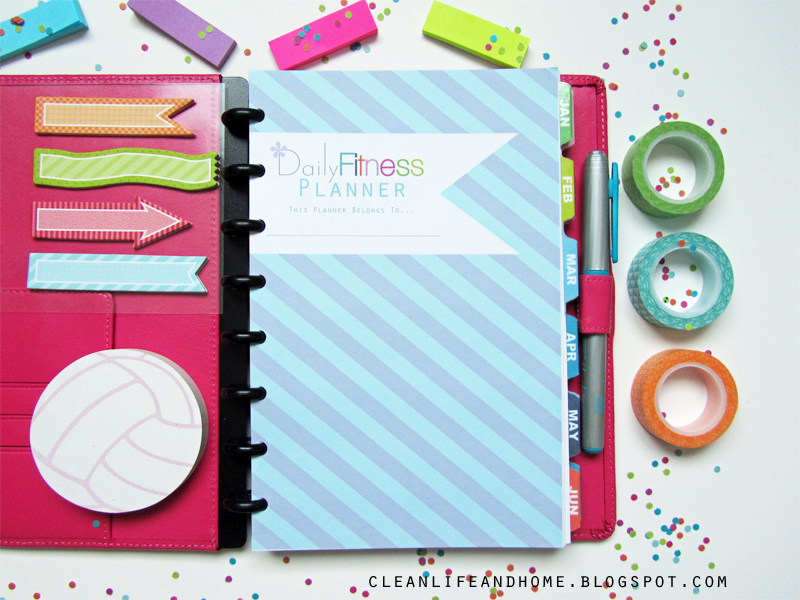 Organize your life and get in shape with this colorful planner! I plan to create an A4 (8.5" x 11") version of this planner very soon! Where did you get the binder to put the pages in?? That is an ARC Junior Notebook from Staples.com! Just go to their site and search ARC notebook! Hi Nicole! How do I print the half size pages? 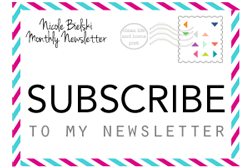 Look your fitness planner. 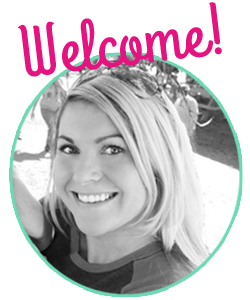 Hi Erica! This planner is setup so that 2 half letter pages are placed side-by-side on a letter size page. That way all you have to do is print a landscape letter size page and cut it in half! This planner is not placed in order since it is not dated so you can pick and choose only the pages you need. Have you made the 8.5" X 11" Version Yet? Hi Megan! I have not created a letter size version. 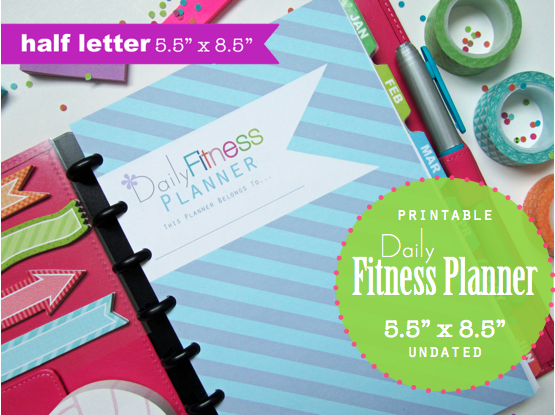 Currently I'm working on a new Health & Fitness Planner that will be available in both sizes soon! 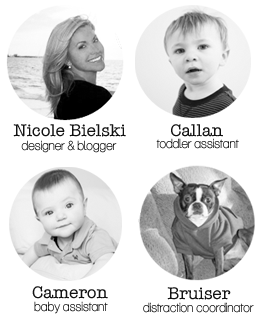 Hi Nicole - Do you have an estimate of when the new 8.5" x 11" version will be available? in which you handled the issues I regarded as being controversial. You happen to be always quite kind towards readers like me and assist me in my living.